Neem has time and again proven that it's one of the best solution to keep the skin clear of acne and pimples. It has antiseptic, anti-fungal and antibacterial properties that protect your skin and keep skin related issues at bay. This gel, infused with the goodness of neem, counter the effects of dirt and dust on the skin. It also acts as a moisturiser for oily skin. 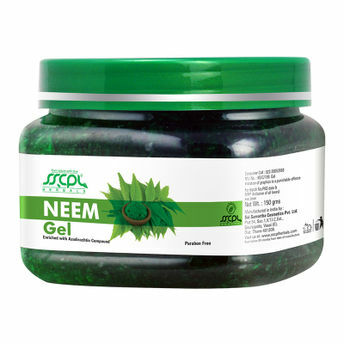 This herbal neem gel can be used effectively on oily and acne-prone skin. Apart from lending hydration, it also helps to protect your skin from the harmful effects of dust and dirt. It also helps to get rid of pimples.